We are a leading Manufacturer of automatic double head miter sawing machine, automatic double head sawing machine and aluminium doors from New Delhi, India. Assisted by a qualified workforce and advanced manufacturing unit, we are engaged in presenting a wide range of Automatic Double Head Miter Sawing Machine. This machine has a height for vertical column and that increases stroke made to allow processing of larger tooth cutting width. Additional, the service life of cutting tools is greater than before by electric tool leap. Apart from this, the best ever stroke attainment leap takes longer hob on the bush. We feel glad to introduce ourselves as one of the prominent entities of Automatic Double Head Sawing Machine (Horizontal Cutting). 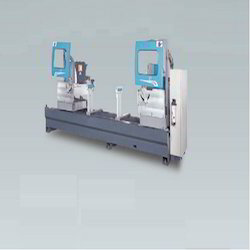 High precision and long service life adopts the sawing machine a high precision. 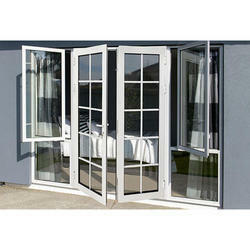 Also, the machine is accessible in varied version having obliging configuration to lift the production meter high. Operator friendly control panel and accurate sawing aid in accomplishing the right demand of the clients with satisfaction. 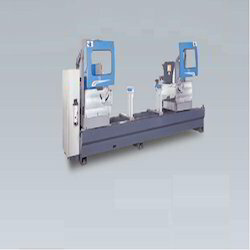 Looking for Automatic Double Head Miter Sawing Machine ?